MIAMI – The United States discovered its five group-stage opponents for the 2018 CONCACAF Under-20 Championship Thursday and they’re all from the Caribbean. They are Trinidad & Tobago, Suriname, Puerto Rico, St. Vincent and the Grenadines and the U.S. Virgin Islands. The draw was conducted at CONCACAF headquarters here. The 2018 edition of the Under-20 Championship, scheduled to take place Nov. 1-21 at the IMG Academy in Bradenton, Fla., will be disputed between a record number of 34 countries. 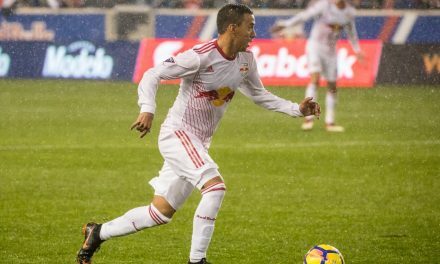 The U.S. opens the group stage against Puerto Rico (Nov. 1), followed by U.S. Virgin Islands (Nov. 3), Trinidad & Tobago (Nov. 5) and Saint Vincent and the Grenadines (Nov. 7) before finishing up against Suriname (Nov. 9). Unlike the previous format, which included regional qualifiers in the Caribbean and Central America and one final championship, this year’s redesigned competition will ensure that all the participating teams have access to play more top-level matches. 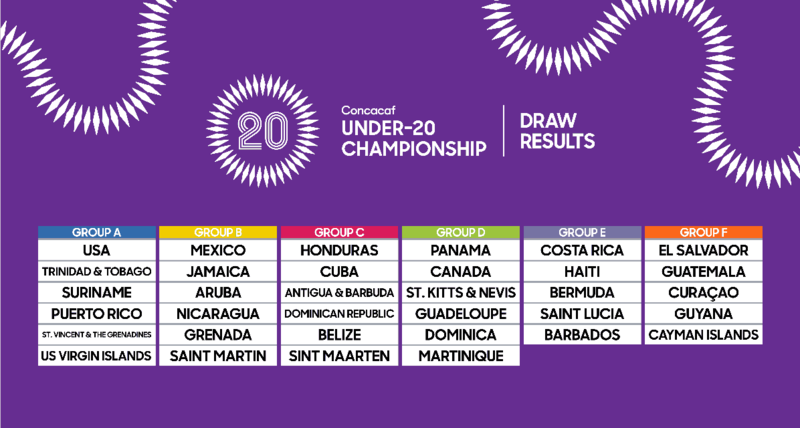 The top six ranked teams in the newly announced CONCACAF men’s Under-20 ranking – United States, Mexico, Honduras, Panama, Costa Rica and El Salvador – were seeded into position 1 of Groups A, B, C, D, E and F respectively. The remaining 28 teams were placed into five pots and drawn using a single blind system. The competition format features four groups of six teams and two group of five teams. Due to the uneven number of Under-20 member associations (34), as the lowest of the top six seeded teams, El Salvador’s Group F and Costa Rica’s Group E did not have a sixth team from Pot 5 drawn into its group. This results in only four games of first-round group play for all teams in Group E and F, instead of five games to be played by each team in groups A-D. Following group play, the top team in each of the six groups will advance to the qualification stage (Nov. 13-19), where they will be divided into two groups of three. After a second edition of round-robin play, the two group winners plus the second-place finishers will qualify for the 2019 FIFA U-20 World Cup. Additionally, the two groups winners will advance to the tournament’s final to determine the regional champion (Nov. 21).